CHP Video : We are the light of the sky! We are the light itself! 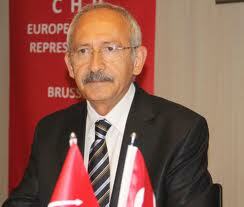 CHP President Mr. Kemal Kılıçdaroğlu tells the story of “the people” who are fighting for these values. Now we are saying again and again: We are the light of the sky. Even you dim out the earth. We are the light itself. Gallery | This entry was posted in CHPEU and tagged Atatürk, chp, CHP EU, EU, europe, European Social Democrats, European Union, kemal kilicdaroglu, Türkiye, turkey. Bookmark the permalink.